Are you interested in a career in eLearning, but aren't sure where to start? In this article, I’ll give you a simple and actionable roadmap to jumpstart your eLearning career. Have you ever wondered how successful eLearning professionals got to such a rewarding point in their career? The simple truth is that everyone starts somewhere. It all begins with aspirations, a limited or non-existent client base, and a game plan. It might be a bit daunting at first, but creating a pathway to success means taking one step a time. Here are 6 top tips to start a winning eLearning career that leads to personal and professional fulfillment. Get a Free PDF Download on How To Build A Successful eLearning Career! It's time to find all the answers you seek about how to build a successful eLearning career. What is your area of expertise? While you might know the answer to this in a broad sense, you really need to drill down and examine the details. This detailed knowledge is what you are going to build your career on, as you will use it to set yourself apart from the crowd. Many eLearning professionals go broad with their eLearning courses. While a comprehensive and basic approach works for some, it does not keep online learners coming back. Proving you have extensive knowledge in your field is the best way to get your audience excited and engaged. If you feel that you have a unique perspective or view on the subject, share it through your eLearning course design. The more value you add to your eLearning course, the more word will spread. Thus, you will build a solid reputation in the eLearning industry and continually expand your client base. It's wise to create an eLearning course sample to showcase to potential clients. But you only get one chance to make a great first impression. Think back to some of the most impactful classes you have taken in the past. What made them stand out? If they were traditional classes, are there any elements that you could adapt and use in a digital setting? Creating a strong eLearning course means thinking outside of the box. You have a world of digital options at your disposal, which can be inspiring or overwhelming. Select online training resources that inspire and enlighten you the most. Then build your eLearning course around those elements. You may also want to become an online learner yourself. Take some eLearning courses to see what works and what doesn't. This allows you to see things from an entirely new perspective. Feedback is critical to developing the strongest eLearning content possible. You will be working with a wide range of online learners who each have different backgrounds and experience levels. This means that they will have differing learning preferences and support needs. Select a group of online learners to test out your eLearning course example, then ask for their input. Bear in mind that soliciting eLearning feedback is only part of the equation. It is what you do with this eLearning feedback that really makes a difference. Use online learner input to make meaningful changes when necessary. While your first reaction might be to reject criticism, this type of dismissive attitude will hold you back. Be open to modifying and improving your eLearning content. If you are unsure about a change, test your eLearning content through focus groups and see which path leads to greater online learner success. You may not use every piece of eLearning feedback that you receive. However, there is bound to be some constructive criticism that helps you create more effective eLearning courses. As you begin to see what works and what doesn’t, refine your approach. This is a much deeper and in some ways more difficult step as it takes a lot of conscious effort to modify your Instructional Design style. Be careful not to bounce from one style to the next trying to please everyone. Instead, think carefully about what makes the most sense in terms of industry growth, eLearning trends, and learner needs. Not to mention, your own personal preferences and interests. Remember, above all else, that in order to forge a successful eLearning career you must be passionate about eLearning. An eLearning portfolio includes samples of work, recommendations, and detailed information regarding your skills and talents. In other words, everything that potential employers or clients need to make their hiring decision. It can also help you attract new clients who are looking for your particular skill sets or experience. In addition to the content of the eLearning portfolio, you should also focus on the overall design. For example, the layout of each page, which graphic elements you include, and content organization. Keep in mind that this eLearning portfolio is a reflection of your brand. It's what you're capable of achieving. Thus, it should be polished, cohesive, and user-friendly. You never know who you'll meet at networking events, or even in social media groups and online discussions. It's crucial to reach out to other eLearning professionals and start building partnerships. This gives you access to a wealth of information, tips, advice, and potential job leads. For example, a member of your eLearning group may need your skills and expertise on a future eLearning project. Networking also helps you narrow down your niche and create more effective eLearning experiences. You get to see things from different perspectives, which broadens your understanding of learning behaviors or Instructional Design methodologies. 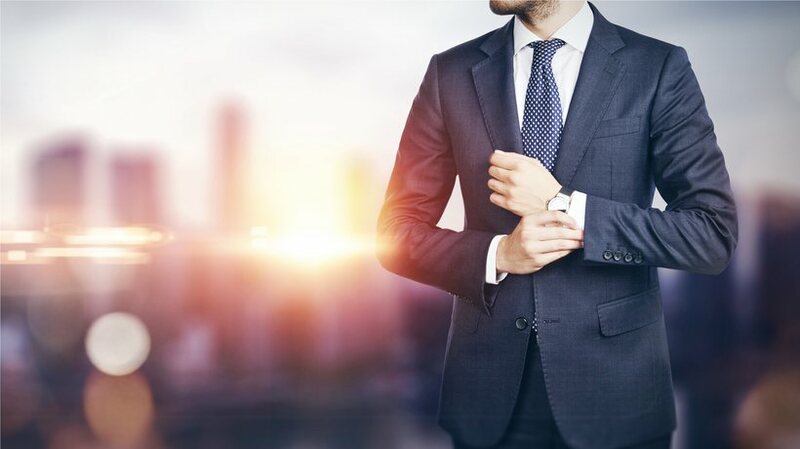 Beginning a successful eLearning career takes time, dedication, and perseverance. But the reward is well worth the effort. As an eLearning professional, you have the rare opportunity to create meaningful change, to help online learners achieve their goals and fulfill their potential. Use this article to get off to a great start and embark on an exciting, enlightening, and profitable career path. Do you still need to perfect your eLearning resume? Create a winning resume using your LinkedIn profile and easy-to-follow instructions. Are you looking for a comprehensive guide to get your eLearning career off to a successful start? 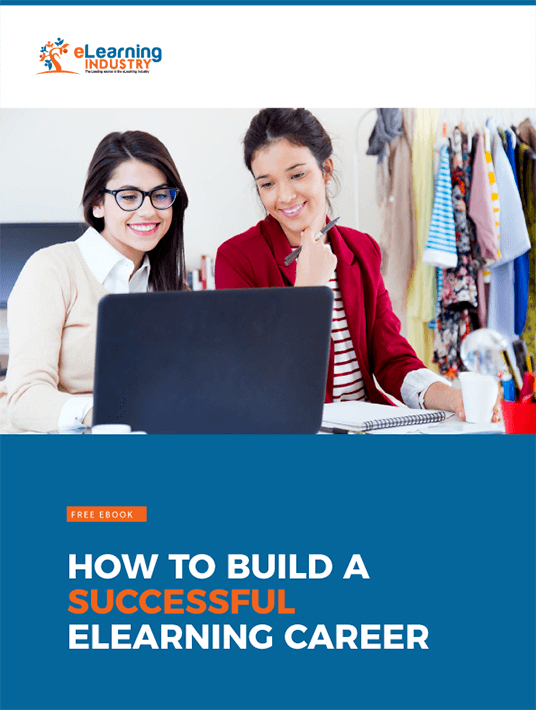 Download our Free eBook How To Build A Successful eLearning Career for valuable tips and tricks!